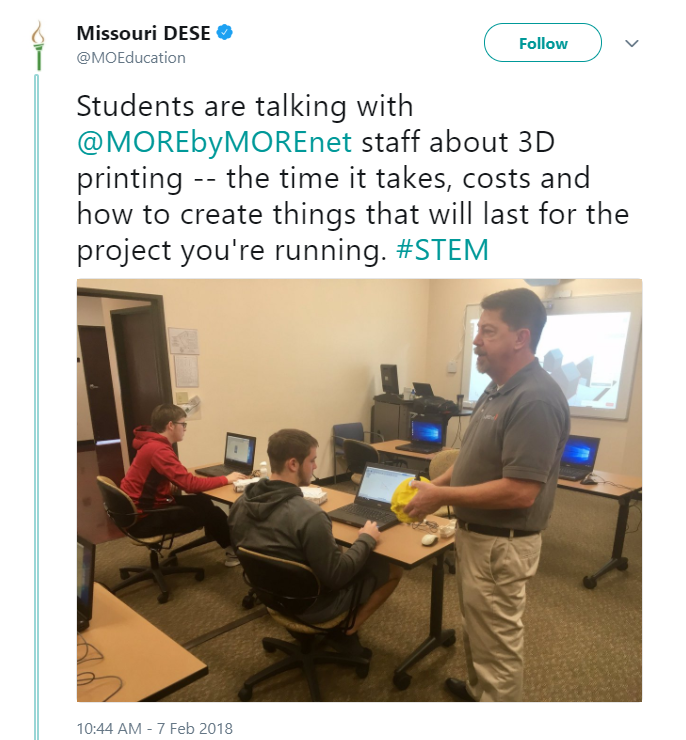 The MOREnet Immersive Learning Lab (MILL) launched last summer inside the MOREnet office in Columbia to provide an innovative and collaborative space for exploration and hands-on learning. Since its launch, we have hosted numerous classes, meetings, and key influencers within the ed tech community. 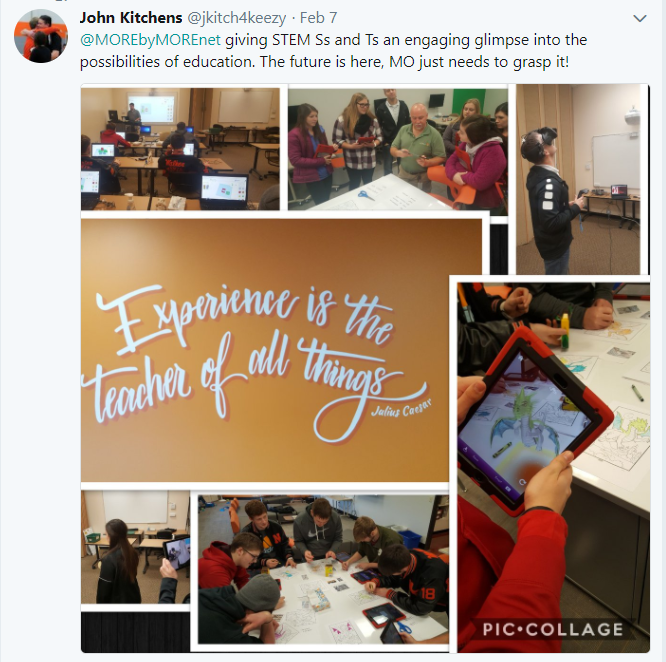 With each visit, feedback about the engagement and excitement the MILL creates, as well as its impact on Missouri education has been very positive. 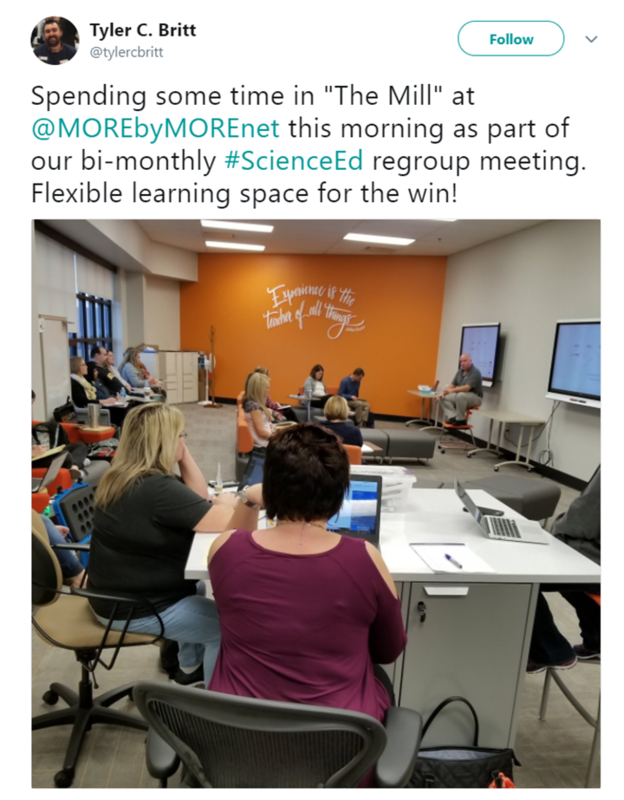 Learn more or reserve the MILL for your teachers or team. Check out some of the social media surrounding the MILL visits!